Please join us on Tuesday, November 6 at 7:00 p.m. 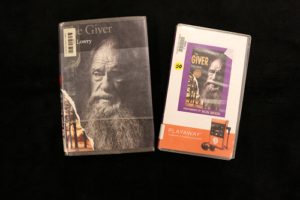 Featured this month will be the book The Giver by Lois Lowry. In Australia, Canada, and the United States, it is on many middle school reading lists but it is also frequently challenged and it ranked number 11 on the American Library Association list of the most challenged books of the 1990s. A 2012 survey based in the U.S. designated it the fourth-best children’s novel of all time. Please join us as we discuss this iconic literary title.